At the end of every month, we take a look at our bank account and more often than not, can’t help but wonder, “Where did all my money go?” We know that a large portion of our monthly income goes to Uncle Sam (and then cross our fingers in hopes of seeing that money back on our income tax return) while other funds are allocated to standard costs of living expenses. But when you narrow down the cost of living to the most basic necessities—i.e. rent, utilities, food, etc.—should it really be digging that deeply into your bank account? The answer is no. Too many people waste money they didn’t even know they could save on everything between electricity to transportation and beyond. 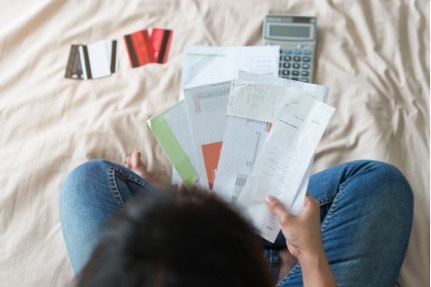 If you’re tired of asking yourself what happened to all your hard-earned cash, here are nine easy tricks to start saving money rather than wasting it away. 1. Check the Comps: Are you sure what you’re paying in rent price is fair in comparison to similar properties? If you moved in during summer peak season, chances are that you were stiffed with a steeper lease agreement. Use a site like https://www.rentometer.com/ to make sure you’re not grossly overpaying for your rental unit. 2. Negotiate Your Lease Terms: Armed with the above knowledge, you may be able to prevent a rent increase at the time of your lease renewal. Landlords also favor long-term, reliable tenants and, as such, might offer more favorable terms. In return for signing an extended 36-month lease, ask if they would consider knocking the rent down by $100-200. It might sound like a long shot to you, but the guaranteed stream of income might be worth their while. 3. Save up for a Down Payment: Every monthly rent check you sign goes directly towards paying off someone else’s Stop pouring money down the drain, save up enough to make a down payment on a house, and secure your own mortgage loan. Buying a home will require tons of budgeting and careful planning, but it’s the best way to build tangible wealth. 4. Unplug Your Outlets: Whenever you’re not using an appliance or electronic device, unplug it. Even if it’s not turned on and being actively used, it’s still consuming power—and adding to your electricity bill. 5. Switch out Your Light Bulbs: You’ll need to invest a bit of money upfront, but by switching your current light fixtures over to energy-efficient light bulbs, you might be amazed at how much cheaper your monthly bill will become. Just remember to flip the light switch off every time you walk out of the room. 6. Contact Your Utility Company: Reach out to your local utility company to see what incentives or promotions they’re running. From smart thermostats to solar installation, chances are that your utility company offers some form of subsidized or cost-effective way to cut back on power consumption. 7. Carpool: Not only does carpooling give you access to the HOV express lane, make traffic less miserable, and provide company while commuting, but it also drastically cuts down on gas consumption. Another added bonus? Reducing your carbon footprint and helping the environment! 8. Public Transportation: If you live in an urban metropolis, you probably have at least some form of public transportation available to you. From buses, trains, and trolley transit routes, you can hop aboard one of these valuable public resources and get wherever you need to go—while reading a book, listening to podcasts, or drawing in your journal while you’re at it. If you rely on these systems, you could even sell your car online to put more money in the bank. 9. Read the Newspaper: Before you toss out the weekly paper, take a minute to look and see what items are on sale at the store. Stock up on those groceries and meal prep for the week using those discounted goods. There’s always a coupon or two hiding in the newspaper ads, so go old school and bust out those scissors to save a few extra dollars here and there. From renting books at a public library to ditching cable in favor of streaming services, there are all sorts of life hacks you can use to stop wasting money! Use these tips to get started and then harness your own money-saving creativity.